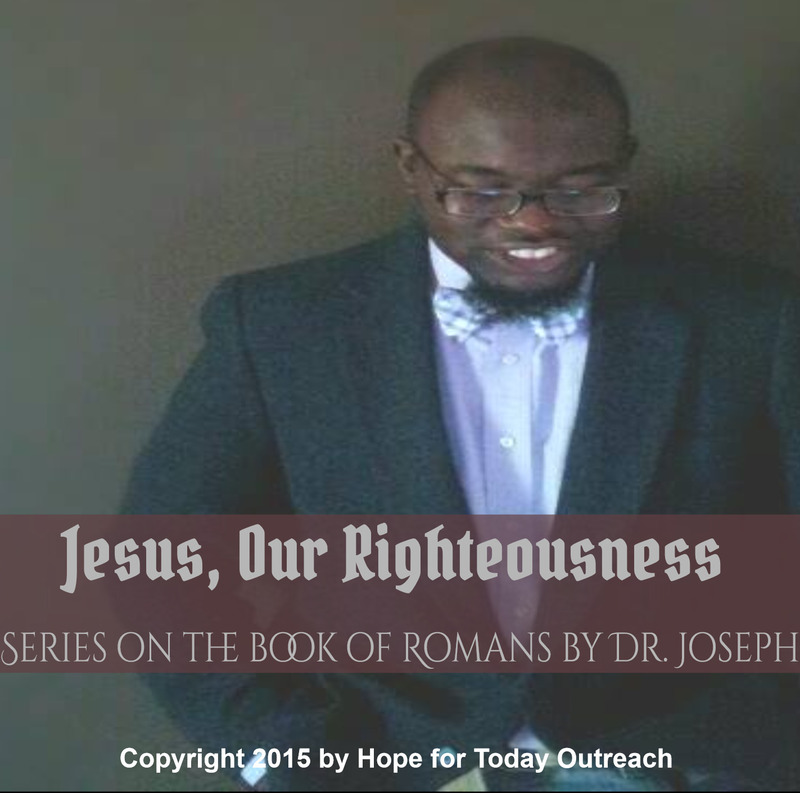 We would like to inform you about Dr. Joseph’s new Teaching Series on the Letter of Paul to the Romans. In these 7 part series on the Letter of Paul to the Romans, Dr. Joseph provides insightful verse by verse exposition covering the entire book of Romans, chapters 1-16. In Part 1, Dr. Joseph provides detailed introductory notes to and articulates the major themes of Romans. In Part 2, he studies Romans 1: 18-32 to investigate the unrighteousness of Gentiles, and Romans 2:1-3:8 to reveal the unrighteousness of Jews. 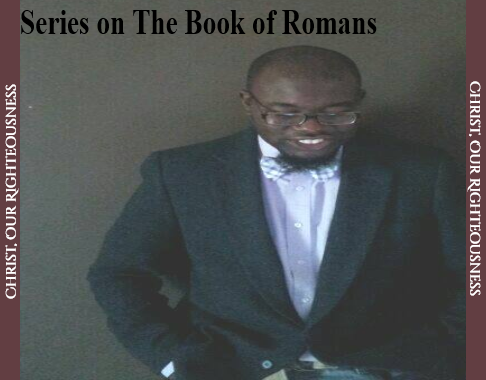 Part 3 provides a careful reading and exegetical analysis of Romans 3:21-26. It also explores the Old Testament background of the concept of “righteousness,” and its various connotations in order to help us understand Paul’s thesis that God demonstrates his righteousness through the atoning and substitutionary work of Christ; Christ’s atoning work provides redemptive salvation to all who would believe in Jesus and place their trust in Him. Part 4 examines the theme of the Justification of Abraham and the blessing of the Ungodly, as articulated in Romans 4:1-8. 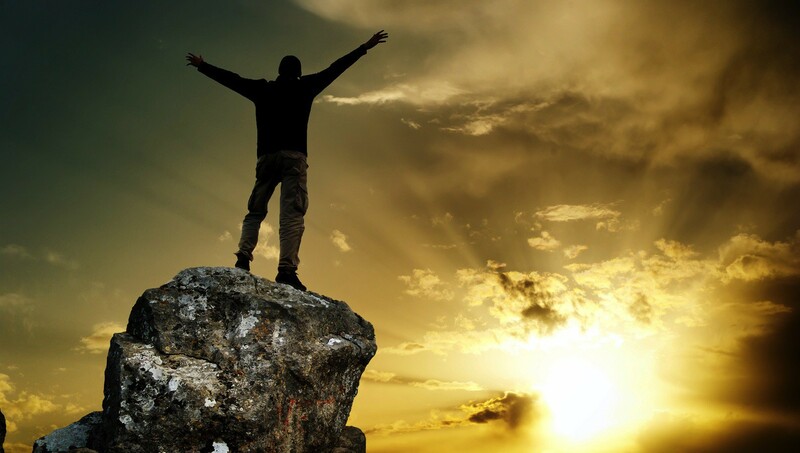 Part 5 stresses the notion of assurance as a result of justification by faith, as observed in Romans 5:1-8:39. 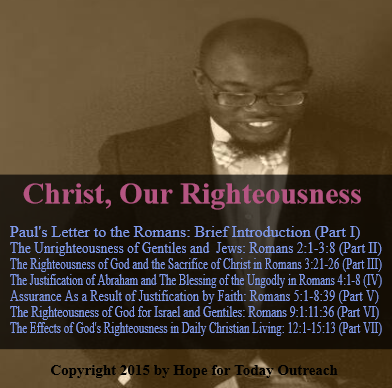 Part 6 explores the theme of the righteousness of God for Israel and Gentiles, as discussed in Romans 9:1:11:36. 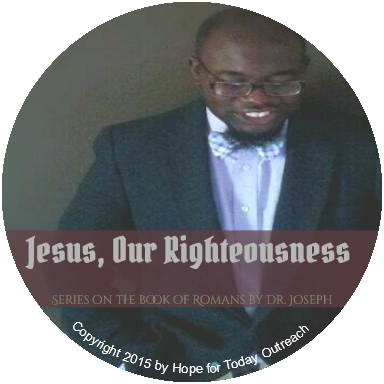 Finally, in Part 7, Dr. Joseph highlights the substantial effects of God’s righteousness in daily Christian living, as covered in Romans 12:1-15:13. He concludes his teaching series on Romans with a reflection on the final chapter of the book: Romans 16. If you would like to listen to Dr. Joseph’s entire teaching series on the Letter of Paul to the Romans, visit our “HTO store” for more information. We pray the Lord will richly bless you and grow you spiritually as you listen carefully to these messages.